is what I have been saying to myself, having discovered a new crochet stitch. 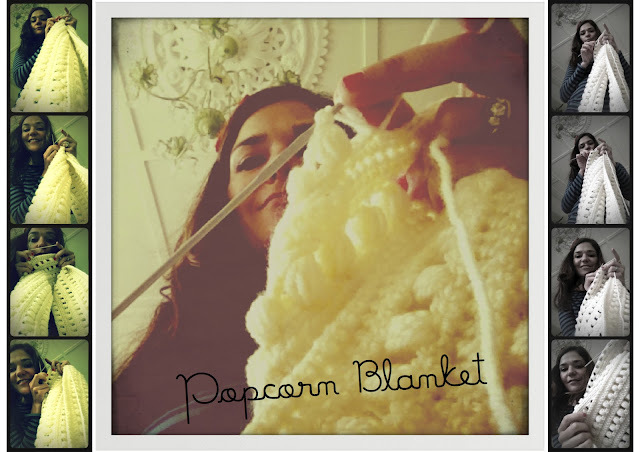 I first saw this blanket here (one of my most favourite blogs at the moment One Sheepish Girl), and just from what appears to be a blanket which she uses as a background to a lot of her pictures, I have managed to re-create it, looking at it up close and personal. (depending on how big you want to go). Chain 170 (I have made the blanket large enough to fit a single bed - you may want to make it smaller or bigger). Chain 1 (this will be the first stitch of the next row). 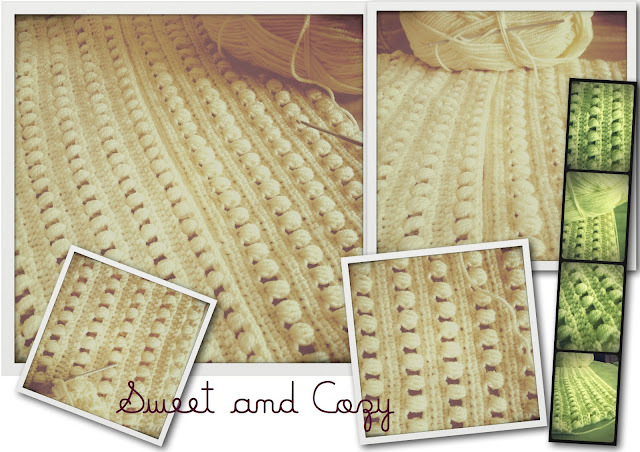 Single Crochet in every stitch, until the end of the row. Chain 2 (once again, this will be the first stitch of the next row). 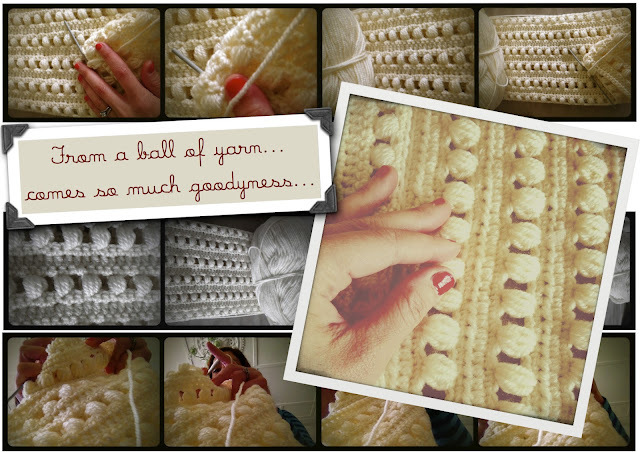 Half Treble crochet in every stitch, until the end of the row. Chain 3 (this will be the first of your first Puff Stitch in the next row). *Yarn over, insert the hook, yarn over again and draw a loop through (there should now be three loops on your hook). Repeat this step two more times, inserting the hook into the same stitch. Yarn over and draw through all the loops on the hook. Miss two stitches and repeat the Puff Stitch again (this time, looping the yarn four times in total). Repeat from * to ** until the end of the row. Continue like this until you reach the length of the blanket you desire. It's fluffy, puffy, bouncy, bobbly.